Nurses are the lifeblood of the health care workforce. They supply doctors with vital information that will guide patients’ treatment. They spend a great deal of time with patients, assessing and observing them, developing and implementing patient care plans, and administering treatment and medication as directed by the physician. Nurses measure vital signs and draw conclusions, make clinical decisions, do diagnostic tests, supervise nursing assistants, and translate medical jargon so the patients will understand. They counsel patients in the areas of disease prevention and the promotion of health, giving valuable instructions to family members so that restoration progresses after the patient leaves the health care facility. The Associate of Applied Science Degree in Nursing is the minimum educational requirement for licensure as a Registered Nurse in Ohio. Students typically complete the requirements in 2 to 3 years. The training will include classroom theory as well clinical rotations at various health care facilities. Graduates must take and pass National Council Licensure Examination to practice as a Registered Nurse. They will be qualified for entry-level positions in hospitals, physicians’ offices, and outpatient facilities. As the Bachelor of Science in Nursing (BSN) increases in popularity, more ADN graduates are going back to school to complete the BSN through RN to BSN transition programs. The Associate Degree in Nursing program at Columbus State provides students with the skill and knowledge to care for clients of all ages. The curriculum is designed to be completed in 5 semesters and aims to support the critical thinking, effective communication, and problem solving. It will include lectures, seminars, hands-on skills development in the lab, and clinical experiences. The school offers a traditional track as well as a blended track that includes online learning. Students must make themselves available for the clinical experience comprising of 4 to 16 hours per week. The rotations will take place in a variety of health care settings and will be directed by a registered nurse. Program gradates will be qualified to take the NCLEX for Registered Nurses. There is an advanced standing program that admits licensed practical nurses who have completed an accredited nursing program. Meet the requirements of the clinical agency including CPR certification, health check, background check, fingerprinting, and drug screening. Tuition costs $4,588 per year for resident students. Nursing students must budget for uniforms, insurance, background check, HESI testing, immunization, drug screen, and textbooks. The Associate of Applied Science in Nursing Program at COTC is accredited by Accreditation Commission for Education in Nursing and approved by the Ohio Board of Nursing. The program follows a 5-semester plan of study and includes general education and nursing courses. Each nursing course includes clinical laboratory sessions coordinated with practical learning experiences in a real-world facility. The rigorous program promotes progressive learning for students to grasp complex principles and develop clinical reasoning. Students must be available full-time to maintain the education focus and participate in the clinical rotations which require flexibility of time. Students must make arrangement to get to and from the clinical sites. The program admits new students each semester. Licensed practical nurses may apply for admission to the accelerated LPN to AD program. This option requires completing of the prerequisites and current licensure as an LPN. Submit the Nursing Application by mail before the published deadline. Tuition costs $2,268 per semester for resident students. Additional expenses include uniforms, insurance, background check, HESI testing, immunization, drug screen, and textbooks. Students who complete the Associate of Applied Science in Nursing Degree will be eligible to sit for the NCLEX for Registered Nurses. The school offers a traditional track for adults with no prior experience in nursing and an advanced placement track for applicants with licensed practical nursing training or licensure. 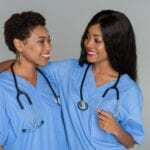 Students will learn how to perform nursing duties within the legal and ethical guidelines, use evidence in practice, use understanding of nutrition, microbiology and pharmacology concepts to make clinical decisions, follow the nursing process when collaborating with other healthcare professionals, help clients make health care decisions, use effective communication, and exhibit caring behaviors when interacting with patients. Obtain a minimum score of 15 on the Wonderlic Scholastic Level Exam (SLE). The cost of attendance is $37,129.50 and includes skills lab fees, technology fee, and integrated assessment package. Other fees include registration fee and graduation fee. The Associate Degree in Nursing program at Fortis College prepares adults to become registered nurses through the development academic, clinical and personal skills that will qualify them to work in various health care institutions. Graduates will be prepare to sit for the NCLEX for Registered Nurses, work as entry-level nurses, respond to the healthcare needs of their communities, and become lifelong learners. The program is offered in hybrid format giving students the opportunity to complete less than 50 percent of the coursework online. Licensed practical nurses who want to advance their career can select the entry path for LPNs and receive academic credit. The candidate must have completed an approved LPN program and have current licensure in the state. The cost of attendance is $44,096 plus an additional $3,699 for books and supplies. Clark State’s Registered Nursing program is offered as a part-time evening-weekend program. It prepares students for a career in nursing. Prospective students must complete all non-nursing courses before enrolling in the nursing course. Students learn how to provide patient-centered care with an emphasis on cultural sensitivity and compassion to patients across the lifespan, use current research to make clinical judgments, community and collaboration with other health care professionals, use informatics and technology to make clinical decisions, and transition to the role of a professional nurse adhering to the legal and ethical guidelines. Students who successfully complete the program will be eligible to take the NCLEX-RN for licensure as a registered nurse. The Ohio Board of Nursing will determine applicants’ eligibility to take the licensing exam. Tuition costs $155.33 per credit for Ohio residents and $286.66 for non-resident students. Students who complete the 5 quarters of theory and practical experience and meet all graduation requirements will receive an Associate Degree in Nursing and will be eligible to sit for the NCLEX for Registered Nurses. Through academics and hands-on experiences students will learn how to provide safe and patient centered nursing care using current research, exercise clinical judgment to make complex patient-centered care decisions, use improvement processes to boost patient outcomes, collaborate with members of the healthcare team for the best interest of the patients, use information technology to manage care, make clinical decisions, and mitigate errors, use legal and ethical principles to guide practice as a registered nurse, and provide holistic care. Tuition costs $25,010. Students must cover costs for textbooks, insurance, background check, uniform, nursing supplies, CPR, and fees.